Archive interview from March 2007 – cos you can never get enough Tarantism. 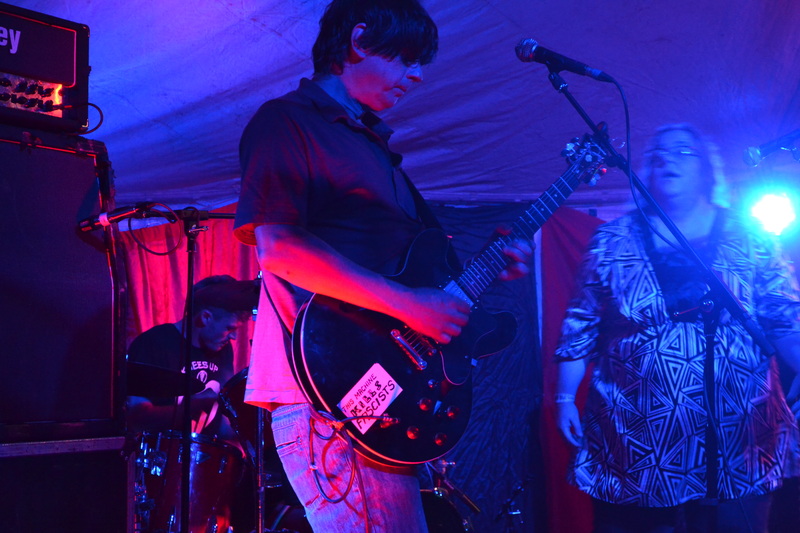 The Peppermint Iguana first crossed paths with Tarantism when they played a gig for us in Blackwood back in 1997 and they have remained part of the extended Iguana family ever since. This interview took place sat in the (then) new Tarantism tour van, in the car park of the Riverside Hotel in Cardiff with the trusty Iguana Dictaphone. So then boys and girls, in your own words, what exactly is a Tarantism? “It was a phenomenon in the middle ages”, lead vocalist Mel tells us, “a medieval dancing illness, that compels you to dance, a sort of dancing Tourette’s, where people were sometimes compelled to dance for days.” This makes sense, as anyone who has ever found themselves compelled to dance at a Tarantism gig will confirm. 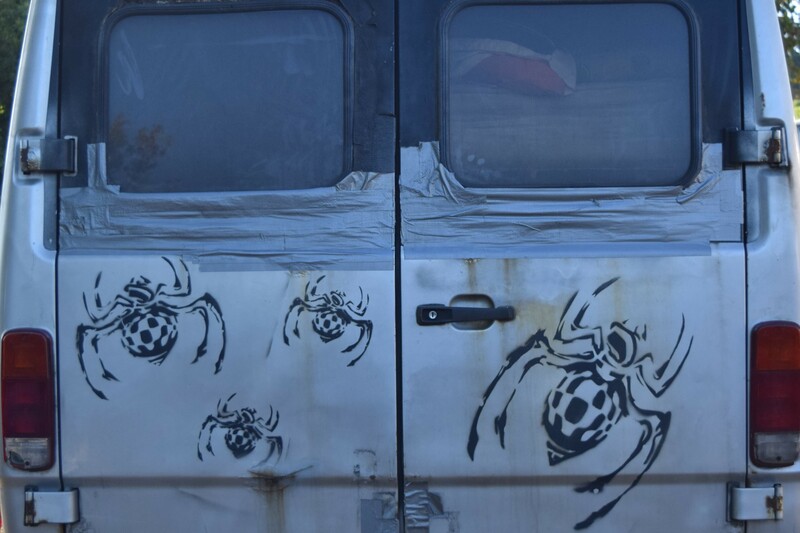 “Legend was that it was attributed to a spiders bite, and it became a case of dance or die”, adds bass player Andy. “But that was only the churches answer, it was more likely to be people just enjoying themselves”, Mel clarifies. 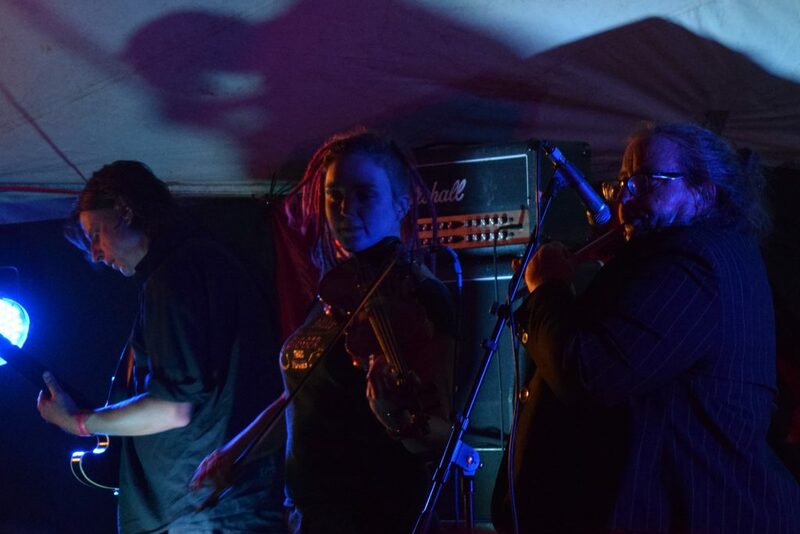 Tarantism have been a pretty much constant presence on the festival scene since the mid-1990s when Vocalist Mel and Guitarist Magnus met Skinner, an Irish whistle playing techno DJ and they decided they could meet all their musical loves in one band. We have caught them live many times over the years but there was a bit of a spell recently where our paths did not cross for ages. “We went a bit quiet for a year or two”, informs Mel, “there was one year when we seemed to have loads of things cancelled and there was a certain period where we were putting a LOT of energy into recording the album”. There was no point when they were not busy though, “We have always gigged as much as we could, but certainly things are picking up a bit lately”, Andy confirms. The line-up has changed quite a bit since they played Blackwood for us all those years ago (and changed several times since this interview). “Sid left, he had been our drummer for about seven years”, Mel, one of only two constant members tries to recall, “he was bored of the poverty, he wanted to get a job and stuff. 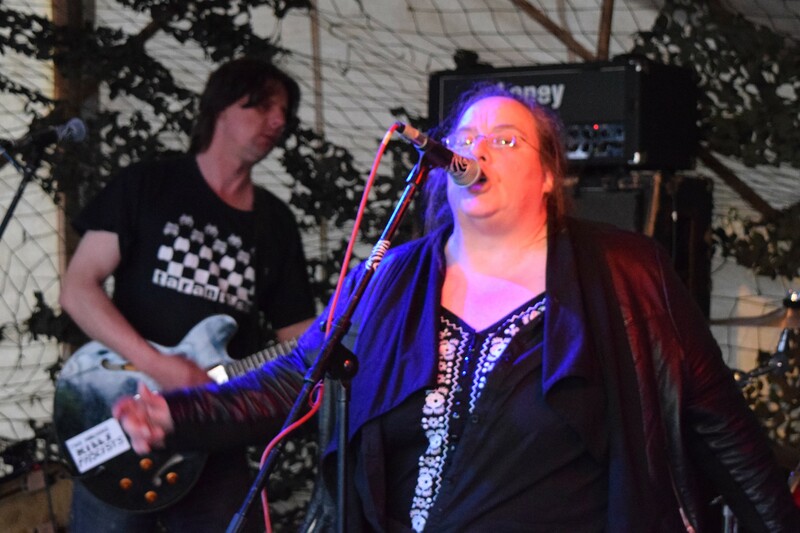 We then had a succession of drummers for a while, Jim ( Jim de Lacy, ex- Cheap Suit O’ Roonies and Headmix) did some gigs with us, then we met Mark who had loads of other things going on, and we had a couple of other drummers, and now we got Mark again”. Andy, ex AOS3 bassist (and current bassist in the reformed AOS3), joined the band in 2000 and has been around ever since. “There were a lot of drummer issues”, Andy tells us “a lot of spinal tap type sort of behaviour all in all. Jim, then Mark, then Mad Mark, then Mark again, then another drummer, then Mark back again. Mark kept trying to get away but it was like he had his braces caught in the van door so he kept bouncing back”. Drummers eh! What a pain. Surely a drum machine would be easier. “Well funnily enough we do a sound system set now”, Mel tells us excitedly “cos for the last but one album, ‘The Cutting Edge Of The Fluff Zone’ we had a remix version done and we really liked all the remixes people did for us. We’re getting into the technology side of it now cos the kit is coming down in price, we have always liked dance music and we will be taking our sound system out on the road this summer”. At this point guitarist Magnus stumbles into the van, having left the venue through the front door and been wandering around trying to work out how to get into the locked car park. He moans a bit then settles down to writing the set list for the night, a list that would be re-written through the gig making it almost meaningless. 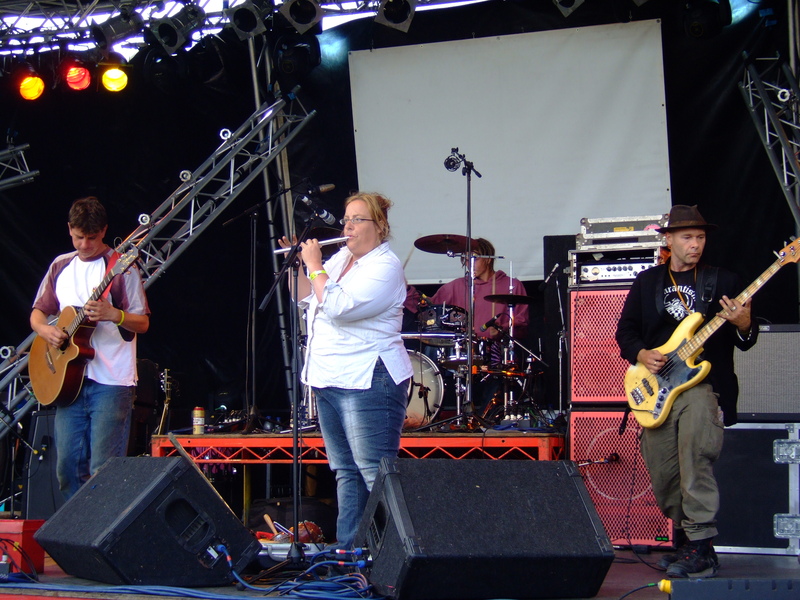 The band describe themselves as ‘Celtic Ska Punk Dub Dance’. We don’t really see the punk connection, other than the anti-establishment attitude. Mel looks surprised when we bring this up. “Well stick around to the end of the set, and see what you think then. It depends on what set you see, what we have tended to do is see what mood we are in and what the audience is like, we might do a more folky set in the afternoon, but other sets may be more punky” Andy, veteran of the anarcho ska punk scene jumps in. “Its been evolving a bit lately as well, some of the more recent tracks are well punky, ‘Blah Blah’ and ‘This Will Never Happen Again’. 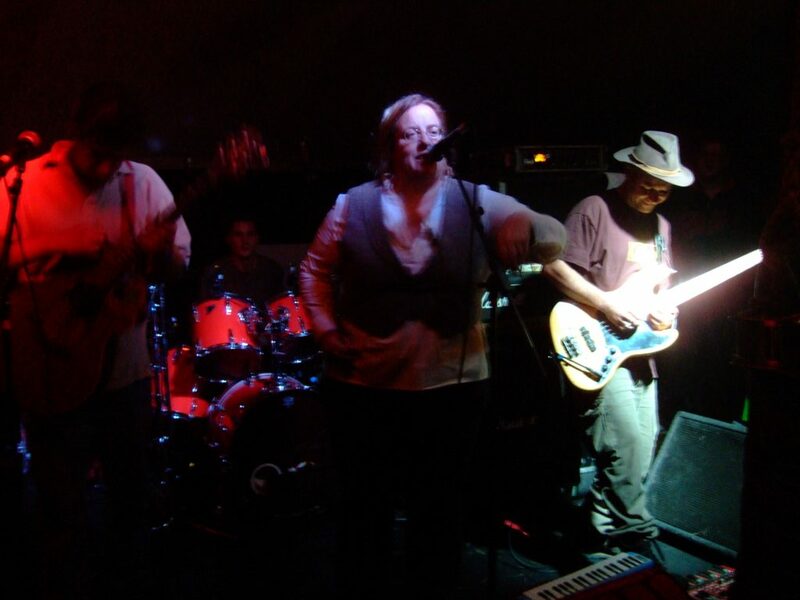 What you need to do is check out our ‘Tarantism Live MySpace’ (ah….remember My Space? ), ‘Blah Blah’ on there was recorded at the Green Gathering last year on the horse drawn band stage with 12 volt batteries so it is well ropey, but the vibe was excellent ant it is really punky”. We have now listened, it is both punky and ropey. Luckily it turns up in the set tonight so we get to experience it first hand on a proper PA. 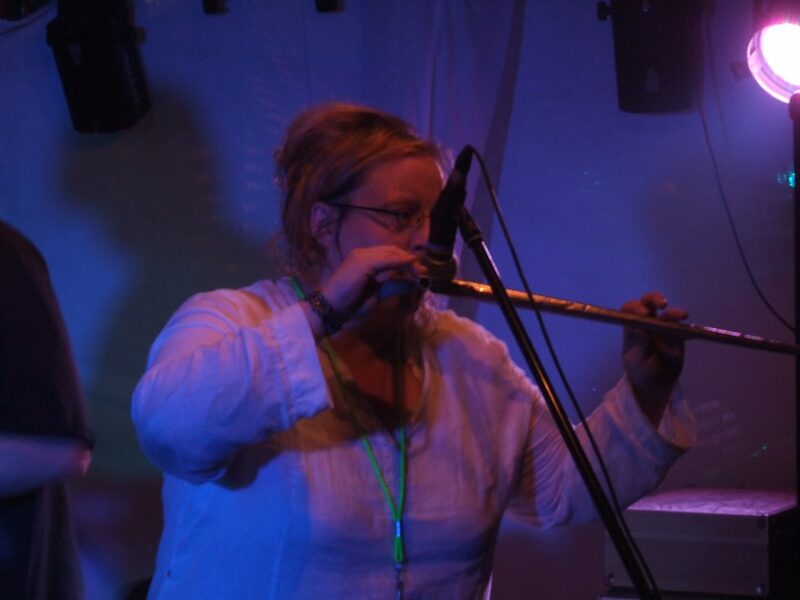 Folk music was pretty much restricted to folk clubs till the late 80s/early 90s then all of a sudden there was this massive wave of Celtic diddly fusion bands coming out of the leftfield of the festival scene, Tarantism, The Tofu Love Frogs, Head Mix Collective, Tragik Roundabout, Afro Celt Sound System etc. Where did all this come from? It was pretty much different from anything else that was going on. Mel whispers in our ear with a grin on her face, “Personally I think it came from us, we were the first to do all that.” Andy ponders for a bit, “It is difficult to find a new sound, a lot of festival bands these days will experiment and something will click and everyone jumps on it and it goes off in that direction……. I think it was on the back of a lot of the Pogues fans that were about, that was definitely an influence.” Mel agrees, “Yeah, could be, cos they were one of the only good original bands in the charts during the ‘80s”. 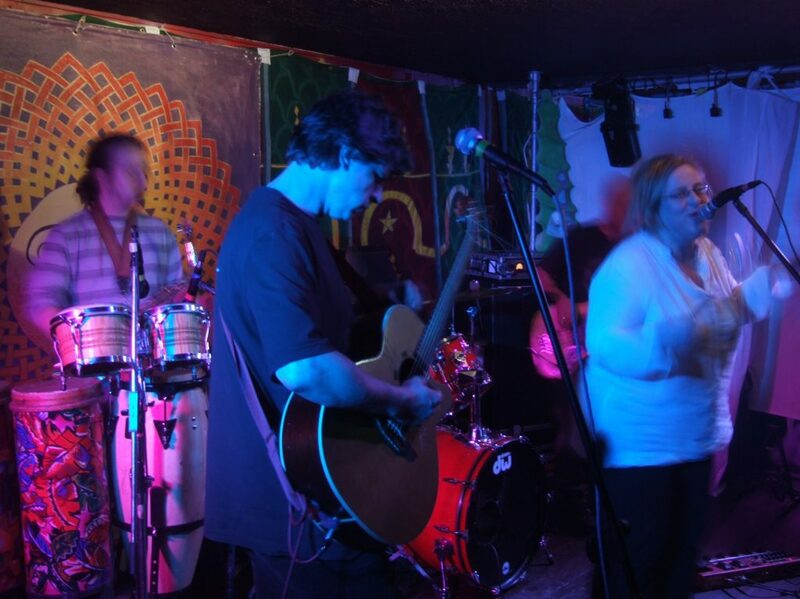 Tarantism started out in North Wales, then moved to Cambridge for a while, then found themselves in Northampton where they have pretty much stayed put (this was 2007 remember, they are now scattered to the four corners of the UK, with Mel and Magnus now based just outside Bristol). What has Northampton got that Wales has not? “Its in the middle, simple as that. When we were in North Wales it was so difficult to get to places, we just couldn’t do London for a couple of hundred quid. Particularly where we were living, it was like an hour and a half up bendy country roads.. and we were running out of musicians to work with up the mountain”. Although it might not show, The Iguana likes to do a little bit of research before an interview. While checking out the Tarantism website we came across Pac Man on the site (dont go looking for it, it aint there anymore). What’s that all about? “The original thought was we wanted a game on the site, like a ‘loading the van game’ or something, a bit like buckaroo but with the van”, Andy starts to explain. This sets off drummer Mark (not to be confused with Mad Mark). “When we went to Holland last year we had a transit with a lot of stuff and after the gig we decided to empty the van and reload it but when we got everything out the pile of stuff was bigger than the van and we had to ram it all back in and still be enough room for us as well… there is only ONE way to load the van”. So, what does the future hold for Tarantism then? “We are just about recovering financially from the cost of recording the ‘Last Man Standing’ album”, Andy starts off, “it doesn’t half add up when you have all the rehearsal time and studio time. We have a 24-track desk etc so theoretically we could do it ourselves but we did it at the Lodge studio in Northampton. Its owned by Robert John Godfrey from the Enid and the engineer there is just fantastic. There’s an old American Cadac desk and it sounds fantastic, and he is just such a good engineer, really intuitive, and there is no kind of tussle, like some studios, its just brilliant. Everybody said the production on the ‘Fluff Zone’ album was fantastic so we had to go there again, but its not cheap, we spent a week more than we budgeted for, but they were brilliant, they gave it to us on tick, we have just about paid them back now. Now we are working on a live album, a sound system album and probably a remix of ‘Last Man Standing’, and lots of gigs as a band and the sound system thing of course”.